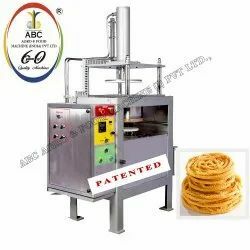 We are one of the leading manufacturers, suppliers and exporters of wide varieties of Chakli Murukku Machine like Ring Murukku Machines, Twist Murukku Machine, Coil Type Murukku - Chakali Machine, Thattai / Chakkulu Machine and Heavy Multi Type Murukku Machine. These high grade machines are fabricated using supreme quality raw materials such as food grade stainless steel. Sophisticated machines and latest technology is used to attain maximum quality and production. These are extensively used in making south indian delicacy “Murukku”. Customization of these machines is also available according to the customer’s needs. Our organization has gained huge appreciation as the affluent Manufacturer and Exporter of a qualitative range of Jangiri Murukku Making Machine that is used in food processing industry. Our provided Jangiri Murukku Making Machine is manufactured using the best quality components and modern technology in adherence with industry norms. We assure our clients that this Jangiri Murukku Making Machine is quality tested on various parameters so as to maintain its flawlessness. We introduce ourselves as an well-known manufacturer and supplier of superior quality Janthikalu Thenkulal Murukku Machine. 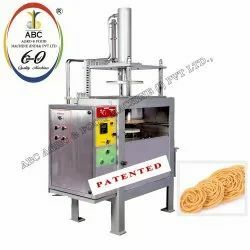 The offered Thenkulal Murukku Making Machine is designed using the best quality components and modern technology under the vigilance of our adroit professionals. Our provided Thenkulal Murukku Making Machine is highly applauded by the clients for its varied quality features like fine Operation. Moreover, this machine is tested on varied parameters. Manparai murukku making machine comes designed and developed using latest technology support for consistent work performance. The offered manparai murukku making machine is designed from premium quality components as per the quality norms. Our manparai murukku making machine is tested on several quality parameters in order to deliver a flawless range. 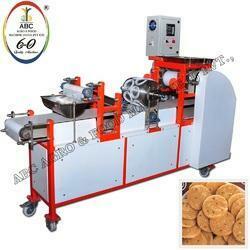 Additionally, this murukku making machine is very easy to operate and needs less maintenance. We are identified as one of a prominent Manufacturer, Supplier and Exporter of Mullu Murukku Making Machine. We use supreme quality of raw materials in the process of manufacturing. Our commitment to deliver the best quality machinery on time is our biggest strength. Catering to the diversified requirements of our esteemed clients, we are offering a wide assortment of Thattai /Murukku Making Machine. Manufactured by supreme quality raw materials, these Murukku Making Machine are high quality machines, used in processing of different sized thattai (called as Thatta-Nippattu in Tamil, Nippattu in Kannada, Chakkulu in Telugu) such as diamond and star models. With the capacity of these machines starting from 1000 pieces on wards, its high performance is highly appreciated by our clients. 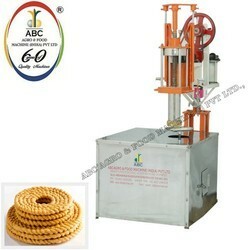 We are Manufacturers and Exporters of Twist Murukku Making Machine. Our offered Twist Murukku Making Machine is designed by our adroit professionals using advanced technology and the finest quality components in sync with industry norms. The provided Twist Murukku Making Machine is checked on different quality measures in order to ensure its quality. 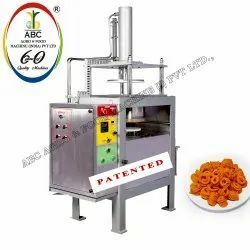 We are engaged in offering our clients a high quality range of Spring Murukku Making Machine that is used in Snacks Industries. The offered Spring Murukku Making Machine is manufactured using quality proven components and the latest technology in line with industry norms. As per the various demands of our customers, we provide this Murukku Making Machine in different designs and sizes. Our quality experts test this machine on different parameters, so as to maintain the quality. 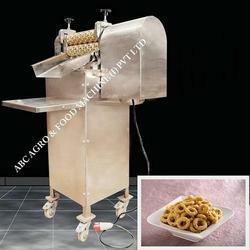 We are Leading Manufacturers and Exporters of Thengaipaal Murukku Making Machine. 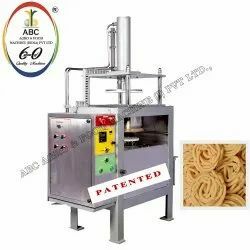 As an eminent enterprise, we are manufacturing and supplying highly efficient Thengaipaal Murukku Making Machine that is widely demanded in different industries like food and confectionery. Our offered Thengaipaal Murukku Making Machine is designed bality components in sync with industry norms. The provided Thengaipaal Murukku Making Machine is checked on different quality measures in order to ensure its quality. Our stride to offer you the mejor has resulted into an impeccable Ring Murukku Making Machine. Manufactured using high grade steel and latest of technology, we produce these Ring Murukku Making Machines in compliance with international specifications. Used for making ring shaped murukku, these Ring Murukku Making Machines are easily operated by a single person which ensure reduction in production cost. 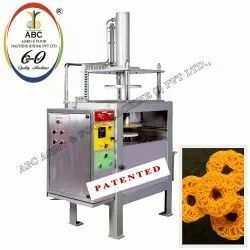 Our Ring Murukku Machines are known for their durability and long service life, and these hi-tech machines are available at very competitive price.